Arbeit und Leben Hamburg - Hamburg ahoy! 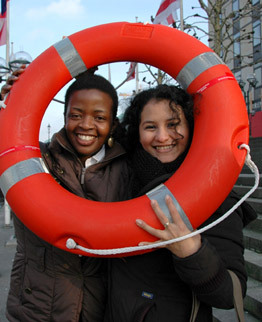 As well as organising internships abroad for participants from Hamburg, Arbeit und Leben is supporting interns from European countries who are coming to Hamburg via our partner organisations. We are organising adequate internships, accommodation, language courses, regular meetings and an inter-cultural introduction programme. On arrival, all participants are greeted at the train station or the airport and taken to their accommodation. We are available in all cases of problems and questions during your entire stay. compared to your countries of origin. Due to an extensive network of Hamburg companies and institutions, we are organising internship places in all of Hamburg’s industrial and trade sectors in a target-oriented way. Admission of foreign interns does not cause additional costs for companies, because the stay in Hamburg is funded by the European Leonardo da Vinci programme. An agreement is concluded between the company, Arbeit und Leben Hamburg and the intern regulating all rights and duties. Company-specific requirements can be considered in this contract. For a stay extending eight weeks, we are organising accommodation with private hosts. For shorter stays, we provide accommodation in hostels, youth guest houses, student halls or hotels, depending on the intern’s budget. We are organising transfer to the accommodation and offer mediation if any problems occur. 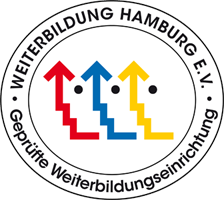 All accommodations are located in the entire Hamburg city area. Depending on arrangements with the delegating organisation, interns will receive a ticket for public transport in Hamburg for the duration of their entire stay. Due to participation in an EU-funded programme, participants are granted exemption from work permit obligation by the Federal Agency for Foreign Arrangements (ZAV) for the duration of their stay. Interested in international internship exchange? You are interested in networking your company internationally? You would like to welcome interns from abroad? Or to send your own trainees and skilled employees abroad? Don’t hesitate to contact us.